Tommy Noonan was an actor who had a successful Hollywood career. Noonan's earliest roles were in film, including "Crack-Up" (1946), the Claire Trevor drama "Born to Kill" (1947) and "Jungle Patrol" (1948). He also appeared in the western "I Shot Jesse James" (1949) with Preston Foster and the Lloyd Bridges crime picture "Trapped" (1949). His passion for acting continued to his roles in projects like the Cesar Romero action movie "F.B.I. 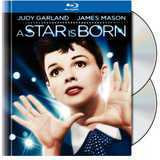 Girl" (1951), the Jane Russell comedic adaptation "Gentlemen Prefer Blondes" (1953) and "A Star Is Born" (1954). He also appeared in "How to Be Very, Very Popular" (1955) with Betty Grable and the crime feature "Violent Saturday" (1955) with Victor Mature. In the latter part of his career, he tackled roles in the Eddie Fisher musical comedy "Bundle of Joy" (1956), "The Ambassador's Daughter" (1956) and the Gordon MacRae biopic "The Best Things in Life Are Free" (1956). He also appeared in the musical comedy "Girl Most Likely" (1958) with Jane Powell. Noonan last acted in "Promises, Promises" (1964). Noonan passed away in April 1968 at the age of 47. John Ireland. Actor; survived him.